All these Space Marine rumours have got my larraman cells pumping once more for an army that was beginning to stagnate on my shelves. In light of that, and partly in response to the rumoured new marine detachments coming, I thought I'd set you all a challenge (ok, there are no prizes, and it's more of an interest thing than a challenge as such). So what have I been doing since last week? 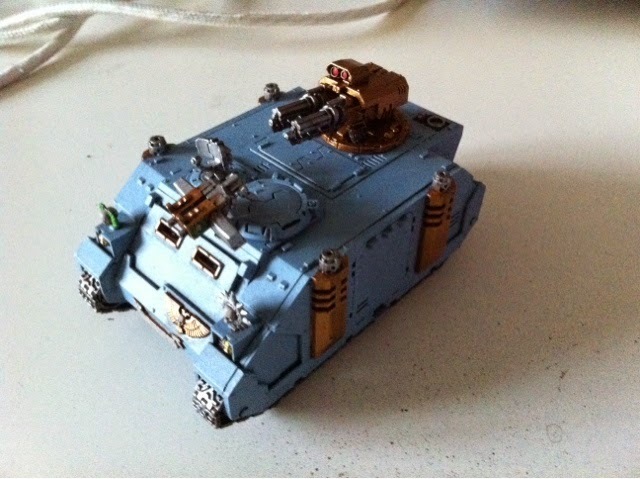 Hi all, space marine rumours abound, so I thought I'd have a little look at them! Monday again, and after another busy week and weekend I've had to fit in a monster session this evening to get some decent progress in. 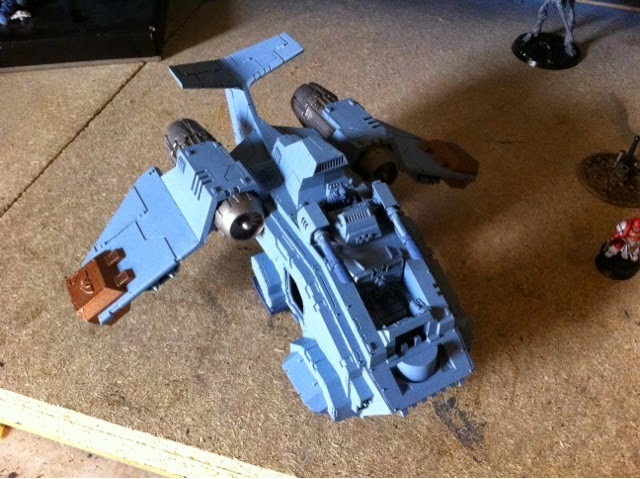 Also I've only got 13 days left to finish the Storm Raven, which is too big to take to work to get stuff done at lunchtime. Mini codexes - good, bad or ugly? 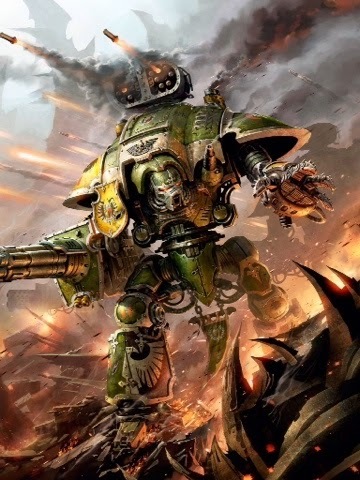 The Burning Eye here again for a little opinion piece I've been working on - relating to the appearance within the game of several mini-dexes, or codices for 'sub' factions within the Warhammer 40k universe. Now I'm a grizzled old veteran of this game system, having played (or at least been a collector) for over 20 years. Things come and go, but one thing tht has always been fairly consistent in my time with the game has been the limitation on numbers of factions (as they are now commonly referred as). Sure, every few years we'd see something new and amidst great fanfare a new race (as they used to be called) would be released upon the galaxy. 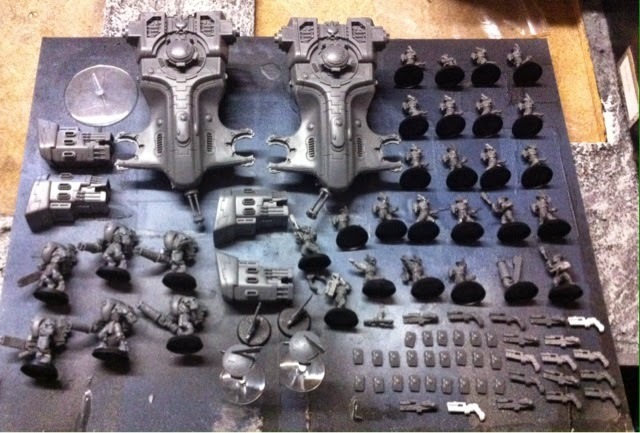 Since I began playing this happened with the Dark Eldar, Necrons, Tau and Sisters of Battle. This is all good, I hear you say, more choice means a better game, and in that respect I would agree with you. More recently however we've seen a massive shift away from this policy of only releasing new factions as complete armies, and the introduction of first the supplement and then of the mini-dex, detailing a sub-faction. And soon to be released Cult Mechanicus. This takes the factions up to 23, from the good old days when I first started collecting, when there were (I think) 9. And that's what brings me to the point of the article. Is all this expansion actually a good thing? The increase in the number of factions available, alongside the associated increasing variety of ways to play the game can only be a good thing - there are now very few holes in the range in terms of tactics and style of play (I can still think of one or two, including my own personal favourite idea of mine, the blast army, which incorporates fast transports to deploy troops armed with heavy blast weapons designed as area denial weapons). Inevitably as the years go by the cost of the hobby rises, alongside everything else (I still remember the fuss people made when petrol rose above £1 a litre!) but more specifically here I'm talking about the cost of building an army. Some of the newer codices are quite limited in terms of options, so building a larger army is likely to mean allying more than one faction together, meaning more codices need to be bought. 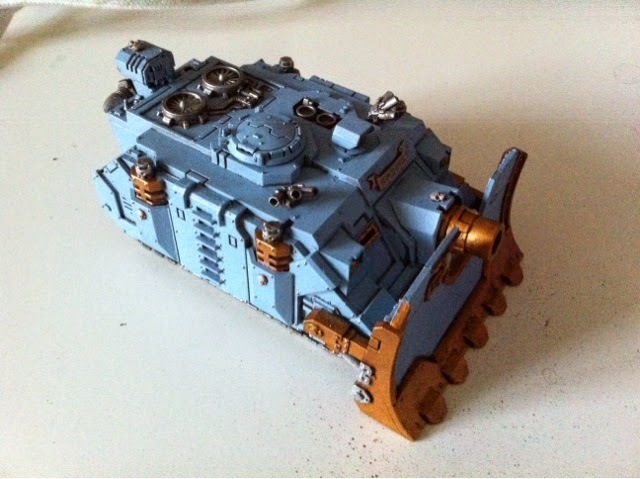 In that respect, I think GW are playing a shrewd business game, bringing out mini dexes now that may be rolled together in the future if they prove successful, as was done with the expansion of the imperial knights codex. 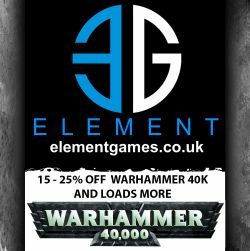 I, unlike a lot of people I see commenting online, accept that GW is a business and needs to make a profit to keep running, but I'm not so keen on this latest trend. 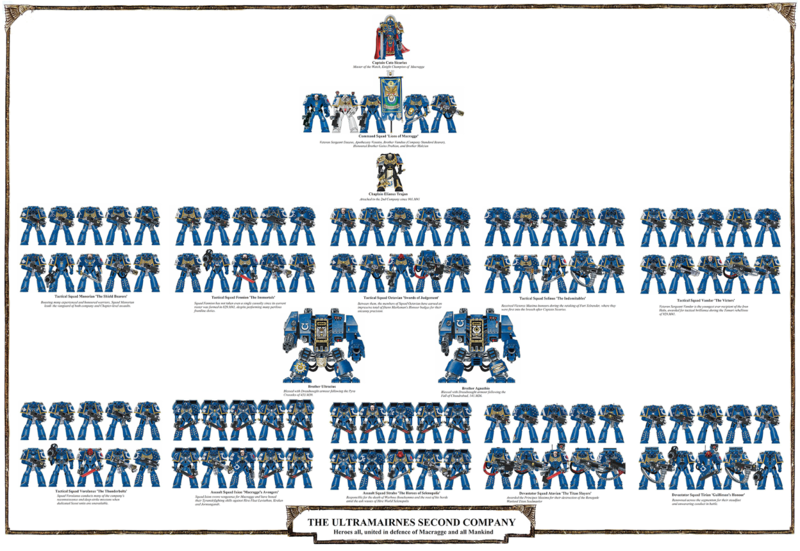 I've seen this raised plenty recently, and it may actually hit GW in terms of their codex sales. Staying on top of all the codices in rules terms is becoming more and more difficult with the cost and pace of releases. As such, there are people who previously would have bought every codex to ensure they knew all the rules, who will now stick to just those factions they are collecting. If this pace continues it won't be long before knowing the whole range will be nigh on impossible. Undoubtedly the expansion of the number of factions has increased the variety of the model range available for 40k, from my early days when you basically had men, men in pointy helmets, and two kinds of monsters, to the current range incorporating the heavily modern and stylised Tau, the skeletal but still humanoid Necrons, Dark Eldar who bring a very different aesthetic to the humanoid form, and again the stylistic and distinctive skitarii and cult mechanicus units recently released. 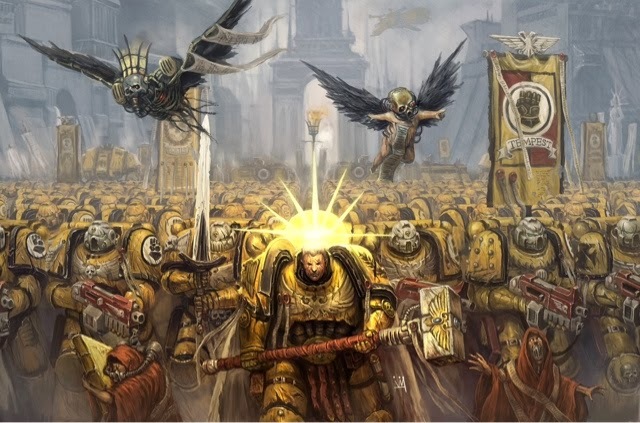 Now in reality, what that means is that there's an increasing likelihood that you'll end up facing an army for whom you dislike the aesthetic, but it also brings in more people by bringing in those who previously didn't like the 40k grim dark gothic look. Again here, we're looking at different ways of doing things, introducing options into the game. 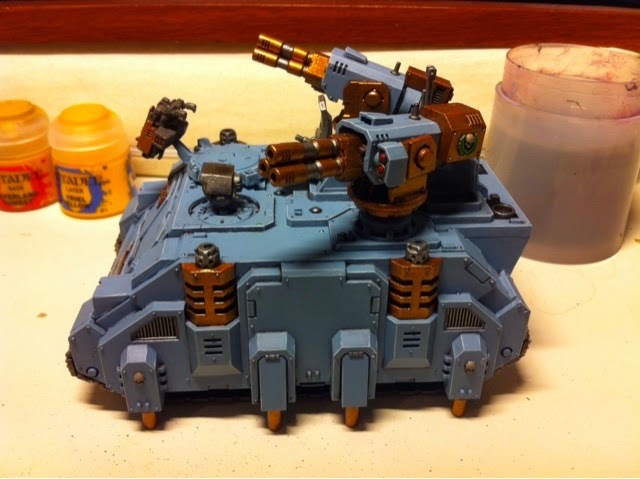 Traditionally speaking the fastest units in the game for example have always been some form of transported units (Dark Eldar, Eldar spring to mind) or limited to certain units within an army (anything with the Beast type). 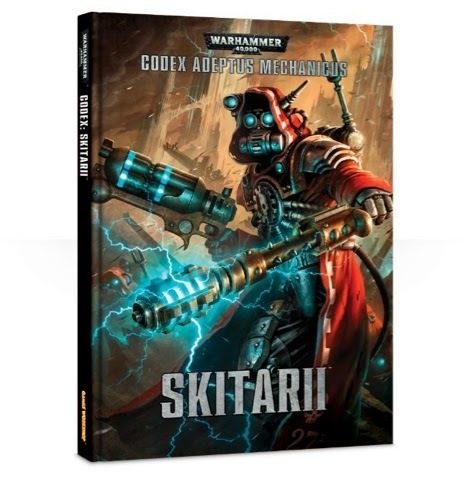 The expansion of the factions however allows different army wide traits to expand the styles of play - Skitarii for example are a very mobile force without the use of transports for their units, whilst the cult mechanicus appear to be redefining the term 'implacable'. Where this does cause a problem potentially is the tournament scene and the Take All Comers (TAC) lists. with a limited number of playstyles it is comparatively easy to choose a list that performs well against those styles, even if different units within your force come to the fore in different games. 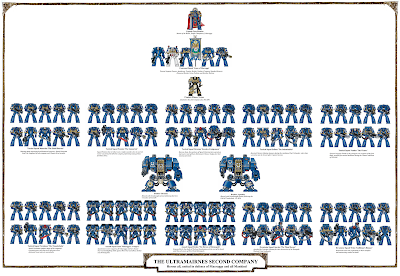 Now however, how easy is it to write a TAC list that you'll use to face 4+ Imperial Knights in one game, then an endless horde of Orks in the next? There's only really one solution to that - and that's to take in allies and (realistically) super heavies of your own to address the matter. Superheavies with their ability to spread shots around at different targets bring a whole different kind of utility to the game, and allow your conventional troops to focus on one thing whilst the superheavy brings tools for the other jobs - consider the imperial knight crusader - able to bring 6 different weapons to the fight, two of which are large blast (one with two shots) alongside a high rate of fire rending cannon and three support weapons. No horde army is going to want to face that due to the sheer damage potential, but its presence allows the conventional troops in the rest of the force to focus on taking down armoured units. Rating: I'm honestly struggling here, I love the idea of choice and variety for players and collectors, but I'm not so keen on the route it's taking things with the nullification of TAC style lists (I'm not saying they won't stay, just that they'll see more extreme matchups causing problems). In the end though, the hobbyist wins out so I'm going to rate it Good. On those topics therefore, I think the introduction of the minidex is a good thing overall. I'm not saying it's perfect, or there aren't unpleasant motives behind its introduction (for the hobbyist at least), but I'm very firmly in the camp of 'a bigger hobby is better' and the prospect of facing a wider variety of opponents and armies is a good thing in my mind. My only real concern is how long it will take to balance everything out - at present there are some definite losers in the balance arena, with Eldar not only having banked the cheque for first place, but they've also mugged the 2nd and 3rd place guys and nicked theirs too. Till next time - watch out for Bear Cavalry. 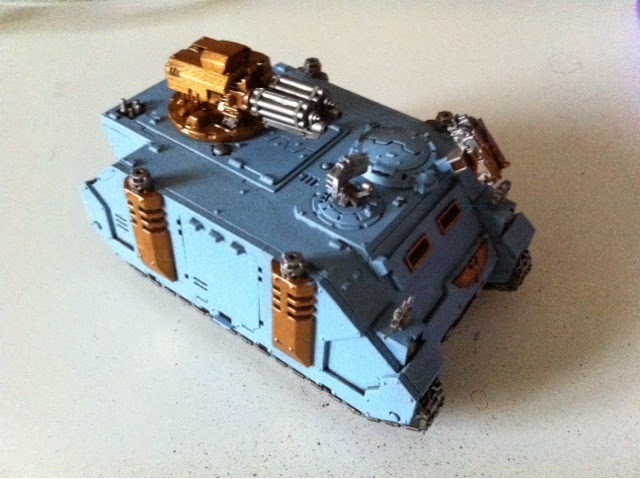 Hi all, I picked up the Imperial Knights codex at the weekend so thought I'd do a review for you. 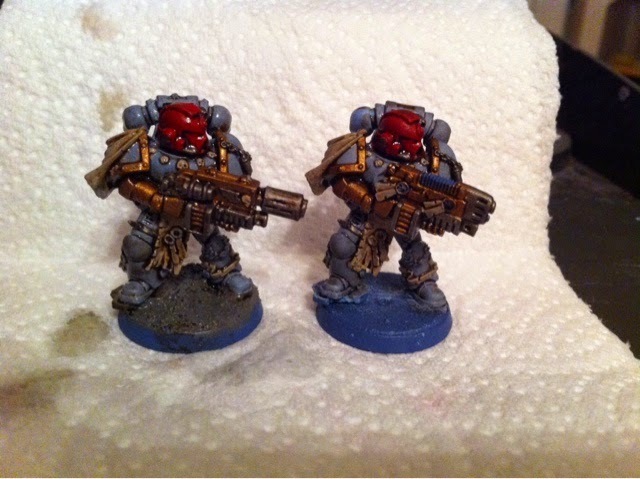 Hi all, welcome to Monday's painting update - back to focusing on the Iron Fists for a while! A few weeks ago I posted up my plan for the next few months, the Mastermind Project, the idea being I would get finished a lot of the models I've started before moving on to starting a new army towards the end of this year. Thursday was a general election here in the UK, and I work on a polling station in a sleepy backwater village. What that means in practice is I'm sat in a room for 15 hours with a handful of people coming in to cast their votes every so often. We managed 114 this time from a possible 142, so a decent turnout but the astute amongst you will realise that 114 visitors spread over 15 hours is still less than 8 per hour. Now I'm pretty pleased with these having had them sat around in a box for at least two years since I re-undercoated them. As a reward I decided to move an item up my list, so here's the next painting project I'll be aiming to complete by the end of May. Tune in next week to see how I'm getting on! Till next time, watch out for that ha-ha! 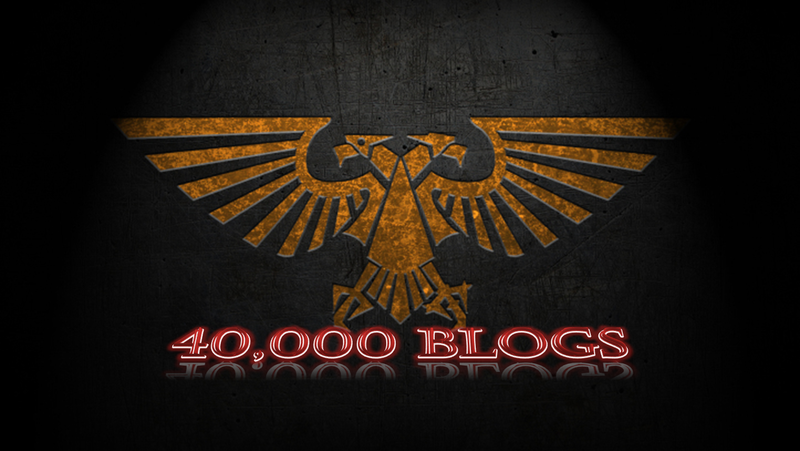 The 40k Hobby - what wouldn't you be without? Hi all, welcome to another page of random gibberish as it spills from my fecund respository of randomness. 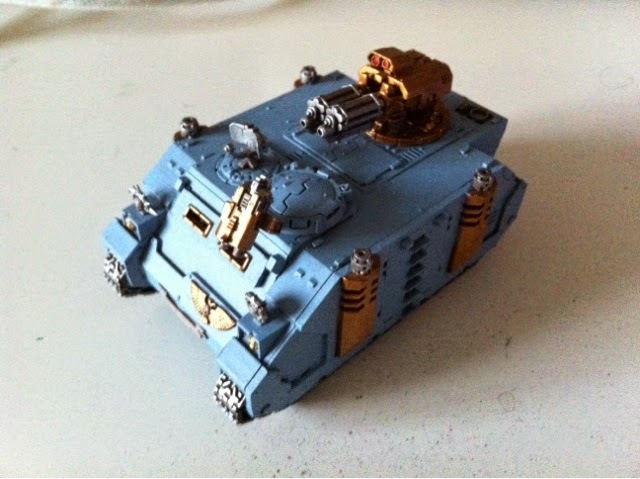 Today I'd like to talk about the hobby itself - it's ages since I've written something like this and I'd really like to get back to including content that doesn't just relate to what I've painted or battle reports. Years ago now I remember reading an editorial in White Dwarf (back when it was interesting and informative rather than just an advert) where the editor asked the question of the reader 'what the best selling product GW sell'? 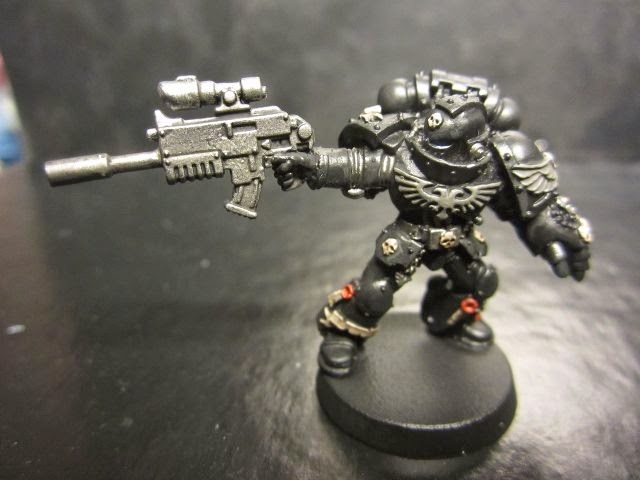 I'm proud to say that I got the answer right, and it wasn't something so obvious as a space marine tactical squad, it was the humble pot of Chaos Black paint. So where am I going with this? Well I found myself in an annoying position a couple of weeks ago, where I'd got lots to be working on, but I'd run out of Agrax Earthshade, which was my next step. Now as I live in a snug little cave in the depths of the mines of Moria, I couldn't just nip out and fetch a pot, so I had to wait a few days before I could detour on a journey to get to the nearest stockist and replenish my supply. In the meantime, I found myself getting more and more irritable, almost as if I were suffering withdrawal from my painting fix! I exaggerate of course, but I can tell you that I was genuinely relieved to have bought another pot so that I could get on with things. As you can imagine, that surprised me a little bit, and started me thinking on what would be my favourite hobby item - models not included. So I made a list (as you do), here my top ten! 1. Agrax Earthshade - I literally use it somewhere on every model I paint, and whilst I could probably make do without a brush to apply it (dip!) I found it genuinely irritating to have run out. 2. Brushes - this has to be number two on my list, I love painting and whilst I can manage with using an older brush that may split on me every so often, I'd be genuinely depressed if I couldn't do any for any length of time. 3. Clippers. 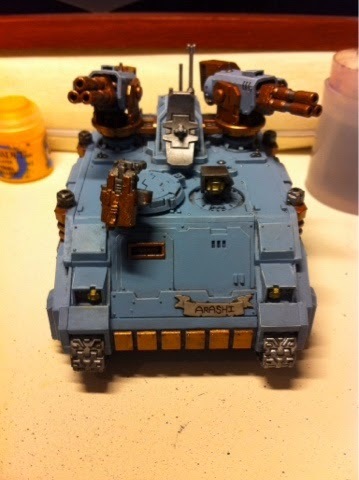 Strange choice I hear you say, well yes it probably is, but I made do for so many years when I first started collecting with just a knife to get things off the sprue that having a tool specifically designed for the job actually put a smile on my face. 4. Hot wire cutter. C'mon, you know you want one! I bought the citadel one years ago and whilst it did a decent job, I managed to lose all the spare wire that came with it and it stopped working very well. Once I got my man-cave sorted (the garage) one of my first jobs was to build myself a table, and to do that I bought myself a snazzy new one, mains powered and everything, with a spike design so that it wasn't limited by the size of the supporting arm. 5. Glue gun. Yes, this is another one along the same lines as the hot wire cutter. Who amongst us doesn't like wielding a gun that sticks stuff together? Makes doing large scale scenery projects much much quicker, even if I have broken the trigger on mine by being overly enthusiastic with it. 6. Head torch. Remember the bit about loving my painting? Well, last year I got myself a head torch so that I can paint even when I'm away from my table. Good job two, since number two child is on the way and about to relegate all my hobby space to the garage, which is a bit too cold to paint in during the winter! It also means I can paint in the living room whilst watching tv, which is a win in my book. 7. Paint Station. 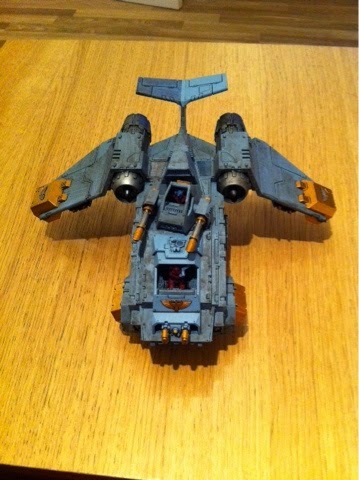 One of the few GW hobby inventions I've involved myself in, this was a present from my sister in law one christmas, and it's earned its money back many times over, allowing me to paint literally anywhere in the house, especially when combined with a bean bag lap tray. 8. Coloured spray paint. 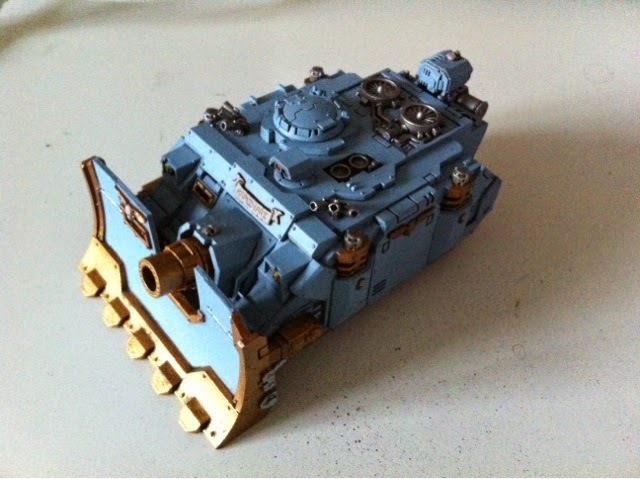 OMG where would my iron fists be if I had to hand apply all that blue basecoat! It's saved me so much time over the last two years I'd hate to be without it now. 9. Sand. Great for basing (so much better than GW textured paints) and fills in lots of nasty gaps when I'm putting broken equipment and models on the bases of my armies. 10. Gel superglue. Like many of us I used to struggle along with liquid superglue, sticking all sorts of things to all sorts of places when I was learning how to assemble things well. The advent of gel superglue made all that go away, and now I rarely end up with glue-finger (that hard patch of skin where you've superglued yourself to yourself). Till next time, vote for a dictatorship, long live the Emperor! 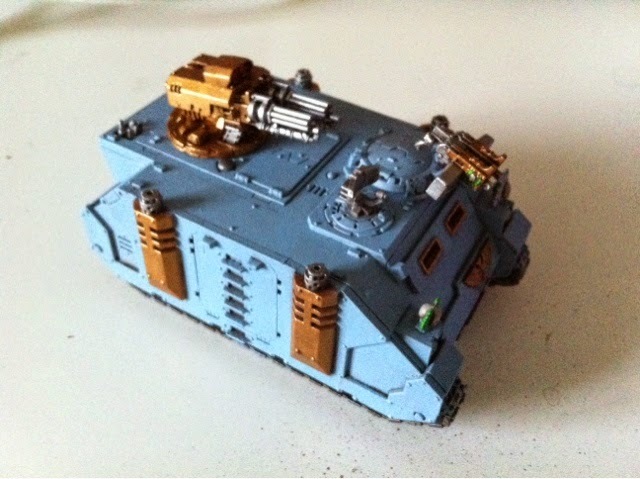 Or Asdrubael Vect! 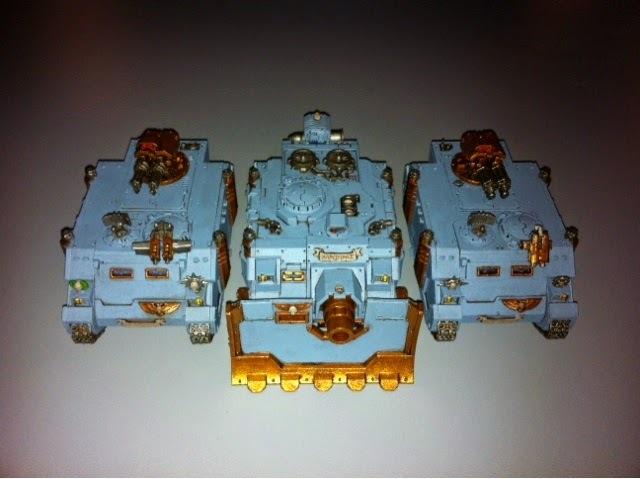 Hi all, further to yesterday's post, I've seen further marine rumours for more detailed changes to the codex, so I thought I'd stick up something extra on this additional info. Morning all, I realise I don't address rumours all that often, but I figured as this one is particularly applicable to me (and has me pretty excited) I'd post up my thoughts. Do Marines really need a new dex? Their current one isn't 2 years old yet! Let's have a look at the arguments from both sides shall we? What I'm not going to discuss here is the idea of a PDF update, we know GW don't take that approach and quite frankly the fewer bits of paper I need to carry with me the better. Greetings all - another bank holiday here in the uk but this time I've managed to keep my head around the dates and what day it is so here's an update on my progress on the iron fists. I've basically finished the stalker, and I'm really pleased with the result (even though the tracker lenses do just need a glare effect on them). I'm not sure yet where best to put a chapter badge, in some respects I may even think about not doing one, what do you all think? 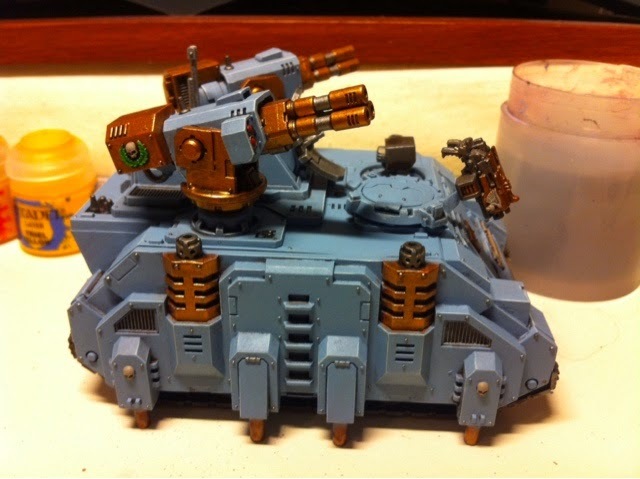 So with that done I moved on, and have started some work on the first razorback, though I'll keep those pictures for next week when it should be finished. What I will show you now however is a couple of sergeant models I've had sat around for a long time that I've finally got round to starting so they can be included in my games. They've got the base coats and wash on, so now just need the top layer and highlights doing before they're ready for games. I got a big day planned this Thursday when I should get lots of painting done, so hopefully a bumper update next week! Till next time, watch out for the camels!